Organization is the key to a stress-free financial life. When you become organized, you will always know where you stand financially, there will be no worries about missed bill payments, and tax preparation at year-end will be a snap. We strongly recommend you plan the systems discussed below in advance and prepare ahead to start at the beginning of a calendar year. Tip #1 Dedicate a Personal Finance Work Space: Gather all of your bills and other financial documents and find a place you can call their home. 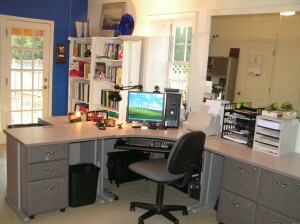 A desk or workspace dedicated just for personal financial activity is ideal. You should locate your personal computer and a handy shredder in the same area as well. Have an “Inbox” for all financial correspondence. Bills, renewals, receipts, insurance EOBs, check copies, deposit receipts, pay stubs, warranties and any other relevant financial correspondence should go in the Inbox so that they can be sorted, paid, recorded, acted upon and filed or scanned. 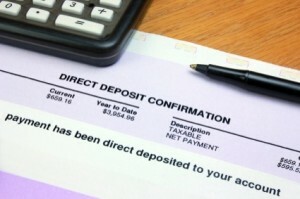 Never toss financial documents on a table, counter top, or general catch-all space. That is how payments are missed and important documents are lost. Act on your Inbox at least twice weekly. Whatever you decide regarding cleaning your Inbox, make a regular schedule and stick to it. Tip #2 Bite the Bullet and Go Digital: The best decision you can make is to first invest in personal financial software to track your budget, bank accounts, investments and bill paying. Automated account reconciliations make that gruelling process a snap. 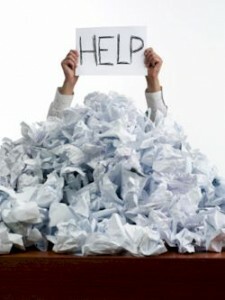 We use Quicken, but there are other viable options as well, some completely in the cloud that you may want to consider. 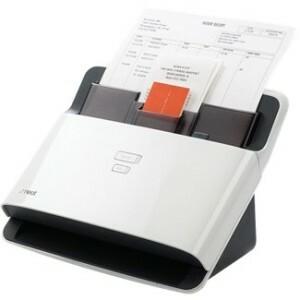 Also, consider beginning your financial organization process with a high speed digital document and receipt scanner like those made by NEAT or the Fujitsu ScanSnap. We are very pleased with the NEAT. Scan every document from your inbox and shred or throw the paper away. We only retain and set up analog files for original contracts, tax returns, insurance policies, wills and similar documents. The scanners will recognize each character and word on a receipt or document and create a database that is searchable and fast for retrieval. The IRS accepts digital scans in lieu of originals. 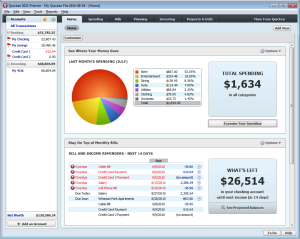 Tip#3 Make the Most of Personal Financial Software: Personal financial software will help immensely to keep you organized and provide valuable and useful information if you take the time up front to set everything up as your software vendor recommends. 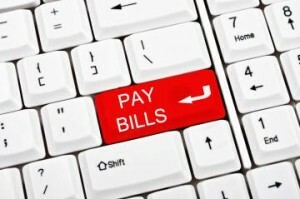 Record all regular recurring payments so you will be prompted in advance of their due date and never miss a bill. Categorize each payment and transaction when it is entered, so at tax time, the numbers you need for your return are just a report away. As you set up your categories, think of the IRS 1040 when assigning category names and organize accordingly. The default settings in the software generally do this for you, although we have found it helpful to further break out medical expenses as requested on the IRS 1040 Schedule A. Tip #4 Reduce the Number of Banking Accounts and Consolidate Institutions: Begin organizing by reducing to a minimum the number of checking, savings, money market, credit card and investment accounts into one or two institutions. As mentioned in previous blogs (see http://goo.gl/zZCEqP), we are proponents of credit unions or small local banks that offer full-service banking. You will save significant money on fees and interest rates over the long haul. Find one credit union or local bank where you can consolidate all of your accounts, except perhaps those managed by an investment advisor. There should be no need for more than those two institutions to hold and manage your working assets and loans. Tip#5 Always Verify Direct Deposits: Before writing bills or making a bank transaction that depends on a direct deposit like payroll or government benefits for funding, always check your bank to verify that the required deposit has been made. Mistakes are made and failure to have funds in the bank can be a costly mistake. Tip #6 Create and Continue to Build Information and Data Storage: Information and data are key to getting things done efficiently and quickly. Having the right person or company, login ID or Password info at your fingertips is critical to saving time and frustration. Each time you have to search for a company representative, phone number, website or address, record that in the contact manager of your choice and keep it handy. The same goes for personal friends and business associates. We recommend Google and its free suite of applications for maintaining contacts, email addresses, calendar entries and task lists. The information is stored in the cloud and accessible any time you have access to a WiFi or Internet compatible device. We also strongly recommend the use of an encrypted password bank to store login ID’s, passwords, personal information, special codes, lock combinations, etc. One password is required for you to remember in order to access all of the other entries. Ours measure into the hundreds. We have successfully used MSecure on both the PC and iPhone platforms. Tip#7 Pay Bills Using On-line Banking Whenever Possible: Almost all banks have now developed and implemented viable on-line systems that will allow for automated bill payments via bank issued check or funds transfer. Use the service whenever possible to guarantee payment when promised and fund any postage if necessary on the bank’s nickel. The service is generally offered at no additional charge to bank customers. See our previous blog at http://goo.gl/nfI2Rw. 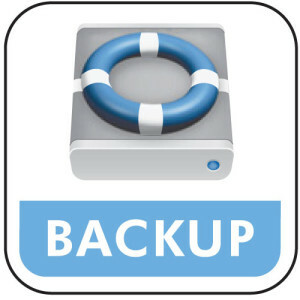 Tip #8 Maintain Quality Data Backups: If you decide to go digital, organized and regular backups for all digital data are critical. Follow the software vendor recommendations for backing up program data and follow through regularly as instructed. A regular offsite backup is also recommended, whether you partner with another family member to store each other’s data via internet transfer (like CrashPlan), or use a paid on-line cloud service like Carbonite or SpiderOak. I am impressed with SpiderOak because of its excellent encrypted security features and inability for anyone to access the backup data stored in the Cloud. Finally, if all this is overwhelming or just too much to consider, retain the services of a Daily Money Manager to handle it all for you. The time you would spend on personal finance could then be put to use as time toward your day job, an entrepreneurial endeavor, or better yet, rest and relaxation! …just a thought!